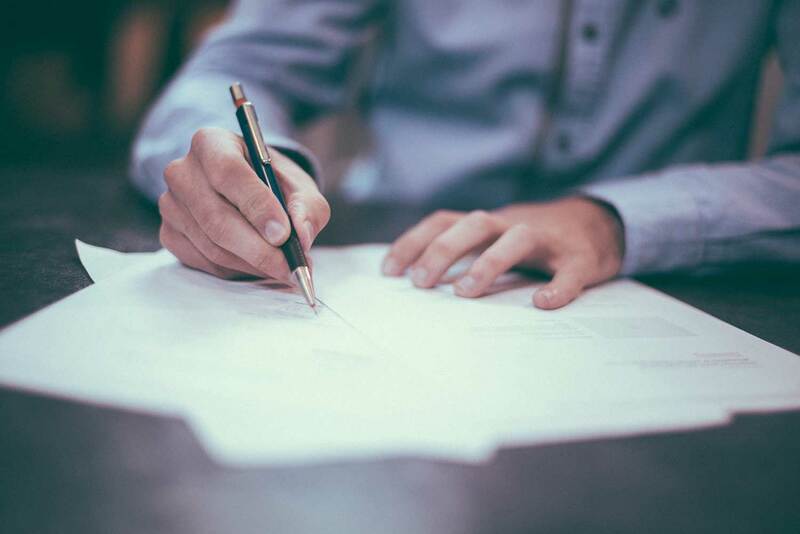 Writing a construction quotation letter is a good thing, because it means that you are in the running to win a contract and deliver a project, or same phase or works on a project. But preparing and writing a construction quotation also carries with it some other feelings, including the natural anxiety and doubts which arise from quoting the job. You have enough to worry about when writing your quotes, including whether or not the amount is too low or too high, and how to factor in potential delays and issues etc. So the layout and structure of your letter can often be an afterthought. But in addition to the actual quote, it's important that you put your best and most presentable foot forward when preparing and sharing a construction quotation letter. Impressions matter, and the state and contents of your quotation have an influence on how the receiving party interprets your quote - and does impact their opinions of what the rest of your work and information might look like. So to improve the impression of your quotes, and do give the receiving party some confidence in the rest of your work, here is a construction quotation letter sample to use or copy. This construction quotation sample letter provides you with a flexible framework which you can use and modify for each of your construction quotes. As you can see from the sample letter below, there are two or three really important components to any quotation letter. The first is that you make sure to include any and all important information regarding the recipient and issuer. While relatively obvious, this information is often omitted from important quotes and records and can come back to bite you. The second is that you include some level of detail around the project or job, and frame the quote. This serves as important context, and also serves to sweeten the deal for the client, who is then about to jump into a quote. And the final and most important part of your construction quotation letter is of course the quote itself. Within a letter, you don't have a lot of formatting options, so including a basic breakdown and summary should suffice. Please find below your quotation for the works discussed. We look forward to fulfilling the work to the highest standard. If you have any questions or concerns, please contact me directly on [Insert phone number]. So what can you do if you want to level up your construction quotation letters? You can use a proper quote template like the sample you see below. Unlike the quotation sample letter, this kind of framework makes you quotations more streamlined and professional. You can fill in all of that important record keeping information, create a better description of the job or work, and create a comprehensive and well organised breakdown of the quote - all within an easy-to-understand and digestible format. Think of how much better this looks to potential clients, and how well this can fit into your other project reporting and updates - which creates a consistent and impressive communication stream. 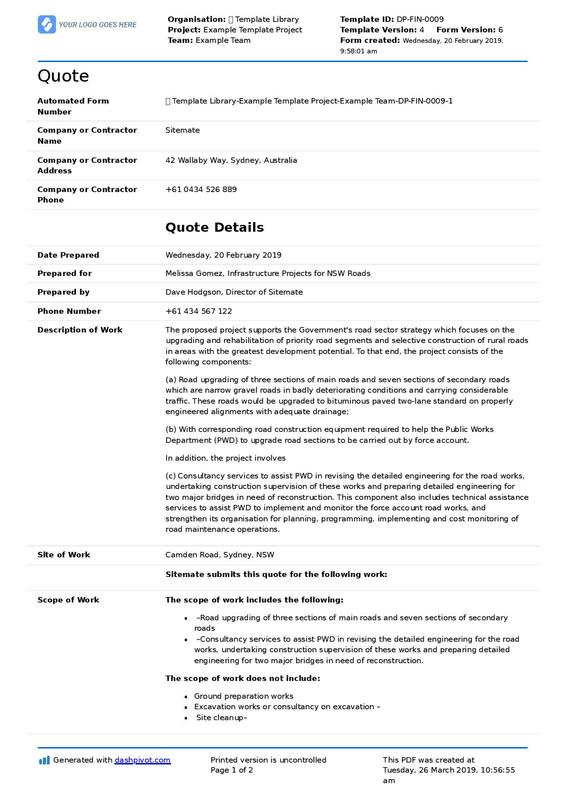 Use this smarter construction quotation sample letter for yourself. It's often easy for construction and industrial companies to focus on what they do best: delivering and managing actual construction projects. But at the end of the day, a construction company is a business like any other business. And in order to get awarded and deliver projects, you need to be able to win and manage them - from the site and from the office. 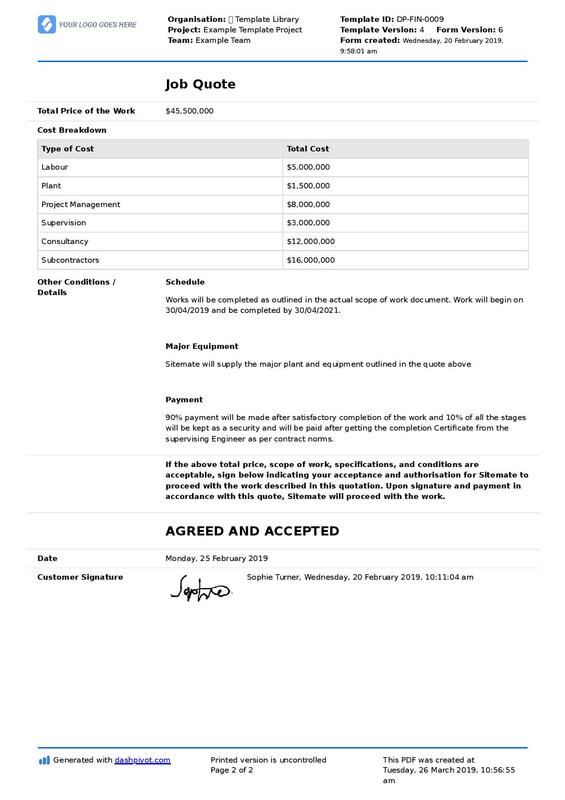 Many construction companies could drastically improve how they manage quotation letters, as well as tenders, timesheets, daily reports and other critical company and project information. While tackling the information and document management issues can seem overwhelming, and transitioning from traditional word docs, PDFs and letters, the benefits of using a digital and consolidated solution to manage project information can not be ignored. With a consolidated information management system, you can create and send your quotes in the same place that you manage your other project forms and documents. With everything in a smart digital format, you can run your site and office operations from a control hub which improves how you manage internal and external operating procedures. While a construction quotation sample letter used to suffice, in today's market, other companies are using better systems to speed up and make their documents look more professional - and clients and consumers are expecting professional formatting which they can easily read, share and sign off digitally. Use or copy the quotation sample letter in this article, or stay ahead of the curve and win more work by levelling up your entire process below. This contractor quote template makes creating, managing and sharing big and small quotes more professional than traditional quote documents. Sitemate is the industries most flexible project management software. 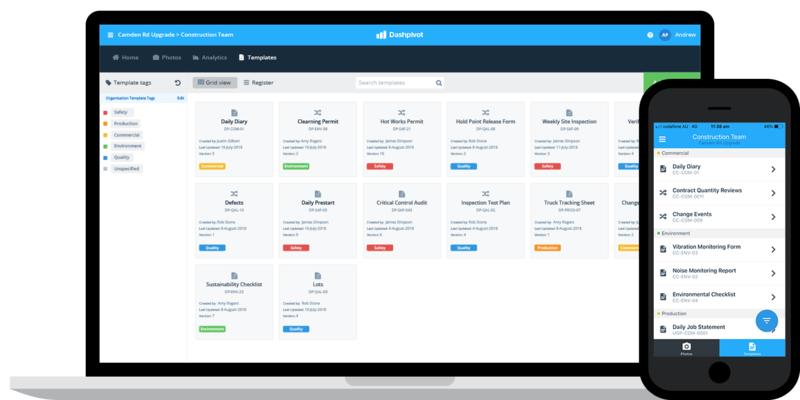 Start managing and delivering your projects the smart way.